Shootings in Alajuelita, on the south side of San Jose, are so common that residents don’t even call police to report them. The latest case was on Thursday, the murder of 32-year-old Antonio Chaves Rojas that occurred shortly before one in the morning, in San Felipe de Alajuelita, but was not discovered until almost eight hours later. Even though neighbors said they had heard several shots ring out in the night, they assure they did not report anything to police, because ‘it was just one more case” and they seem them constantly. According to the Fuerza Publica (National Police), the confrontations between Alajuelita gangs due to disputes over drugs and turf produce shootings on a regular basis. Police say they maintain a strong presence in the area, but controlling these gangs is difficult. 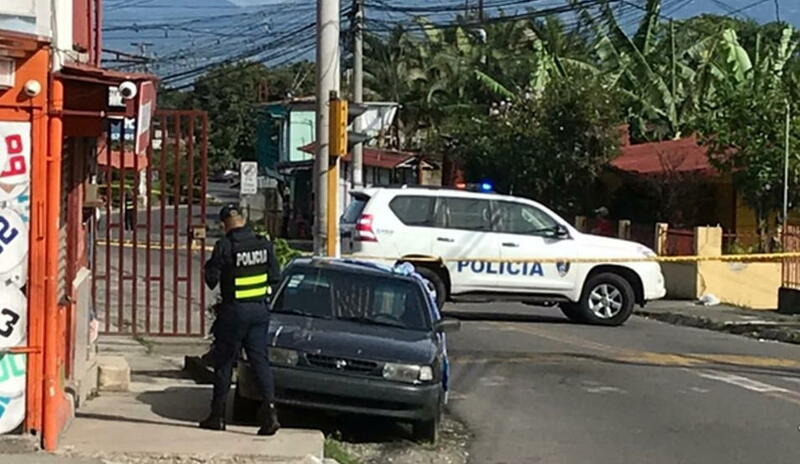 As to Thursday’s murder, the Organismo de Investigacion Judicial (OIJ) – Judicial Police – reported a man on a motorcycle and wearing a helmet was responsible for the murder of Chaves Rojas. The OIJ said the victim was a regular drug user and had a criminal record for theft and fraud. The car, with the body inside, was in front of his house. Chaves Rojas, who worked as a “pirata” taxi had been shot several times. “He was not allowed in the house due to his drug problem and spent nights in the vehicle. Practically, he lived there (…) We are trying to do the interviews and take the case calmly, as the relatives are very affected,” said Ernesto Durán, head OIJ criminal scene investigation branch. Using motorcycles and covering their identity is common of hit men in this densely populated low-income district of the capital city.